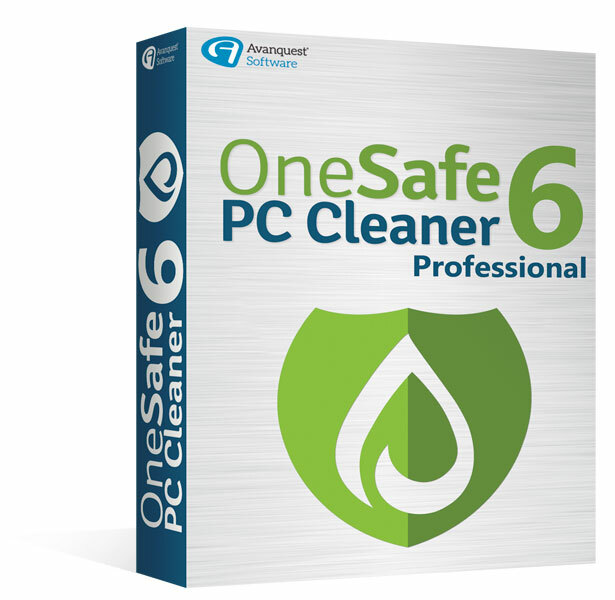 OneSafe PC Cleaner - Clean up your PC and make your computer as good as new! Clean up your PC and make your computer as good as new! With version 6 we are adding a lot of useful new cleaning features and improving existing features. 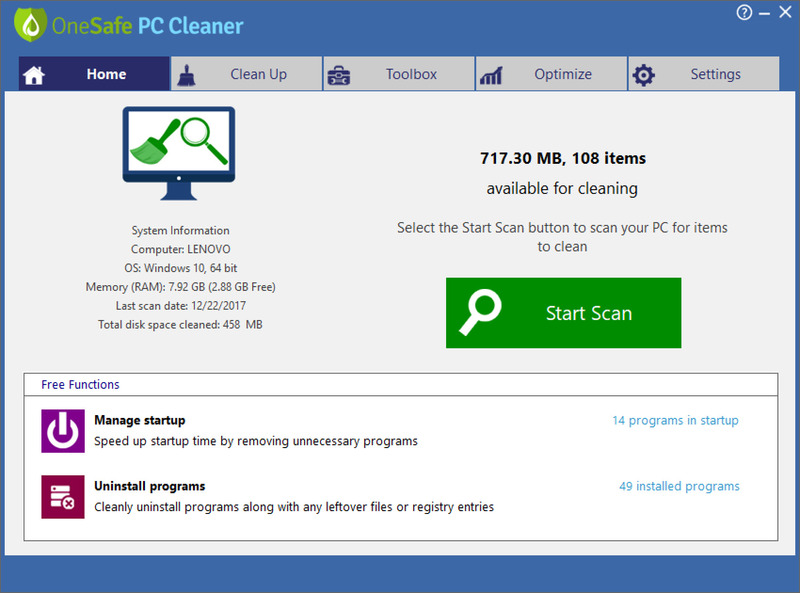 These new features making OneSafe PC Cleaner the perfect tool to keep your computer efficient on an everyday bases. Using your computer regularly leaves your registry fragmented and cluttered with obsolete and unwanted data. Clean up your PC log files to ensure greater confidentiality. Find and delete unnecessary files generated by software, system crashes or reboots. Fine-tune and optimise the hidden Windows options affecting your PC's appearance, security and performance. 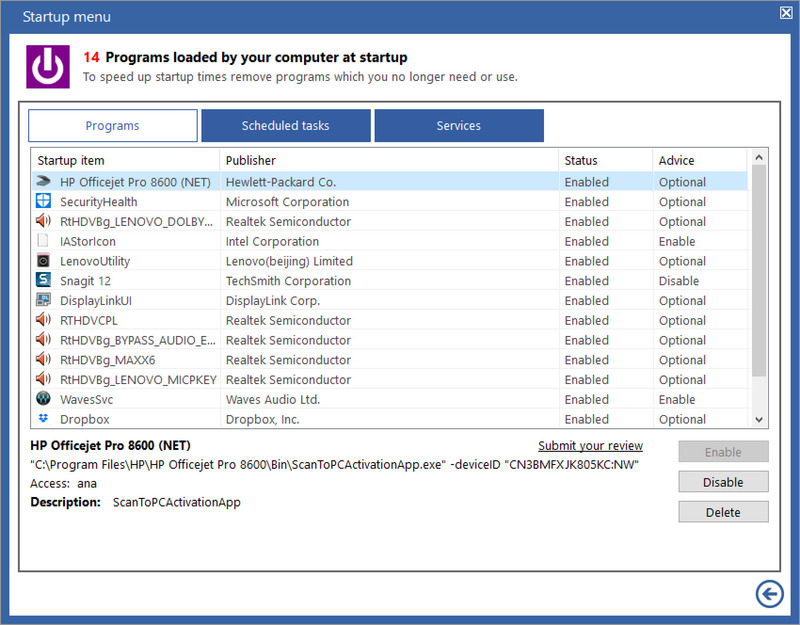 Configure a quicker Windows start-up and clean up the files left behind after uninstalling software. 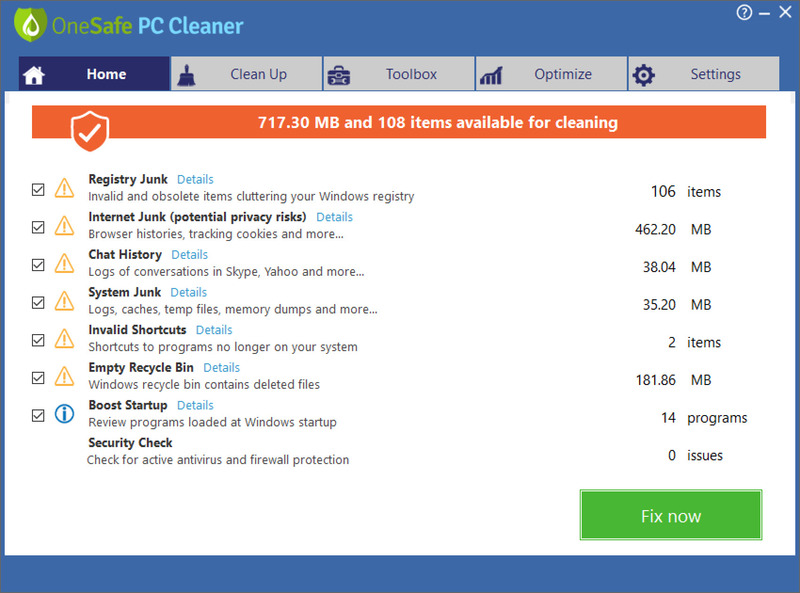 With version 6, you will benefit from brand new cleaning features and improved features for your daily PC optimization. In addition to desktop programs, toolbars and extensions, you can now use the uninstaller to cleanly remove Windows 10 apps. 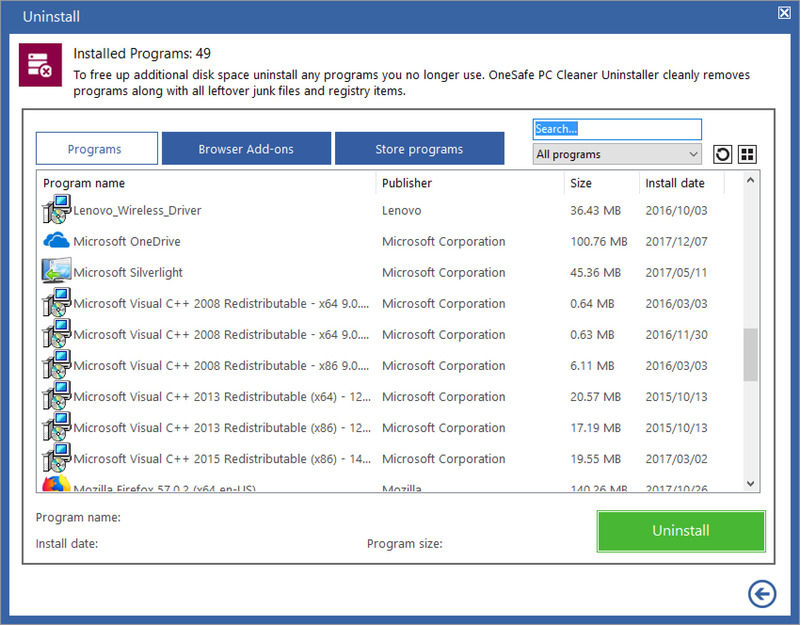 The uninstaller cleanly removes apps along with all leftover files and folders. Boost startup speeds further by managing scheduled tasks and services. Possible recommendations for both scheduled items and services will also be provided the more you use the software. Handy new feature to help locating files quickly based on file type, creation or modification date, size etc. Identifying system memory dumps as part of the main cleaning scan will significantly increase the disk space available for cleaning. Receive Tech Tips about cleaning duplicates, Windows privacy settings, cleaning large files, password security and more. The improved algorithm to identify duplicates allows OneSafe PC Cleaner 6 to find significantly more duplicates for cleaning. In Version 6 you also have the option to remove all copies of a duplicate. So if a photo or video turns out to be unwanted junk, you can remove all copies at once. Protect yourself from identify theft with OneSafe’s new ID Scan. Enter the last four digits of your bank account, credit cards or identify cards and the OneSafe ID Scan will deep scan the files on your PC for any trances of these IDs or account numbers. When you find files containing sensitive info you will have the option to shred the files making them unrecoverable to potential ID thieves. Strengthen your security by destroying important information that you do not want to be retrieved from your computer by anyone. Destroying files, photos, and other items is a process of overwriting information in files a number of times. The more data is overwritten, the more difficult it is for software recovery programs to retrieve information. The safe and easy way to recover files, documents, photos, music and other items lost or deleted. Whether you've lost these items due to accidental deletion, disk corruption, formatting issues, or other reasons, Intelligent Data Recovery can help you find and restore them. You can recover files from PCs, USB sticks, digital cameras, iPods, external hard drives and virtually any other type of fixed media.